Nissan first launched the Qashqai back in 2007 and it came with a bold statement: "There's change in the air thanks to the Nissan Qashqai, something different has arrived. You need never drive a boring car again." Well, after a few years, we can see they were right. Nissan didn’t re-invent the wheel with the Qashqai, but what they did do was create another niche vehicle that spawned a new sector in the market. The Qashqai is now the class-leading car and continues to do very well on the sales figures. It’s basically an MPV designed for the city streets; a car that isn’t too big but isn’t too much. Clever, eh? 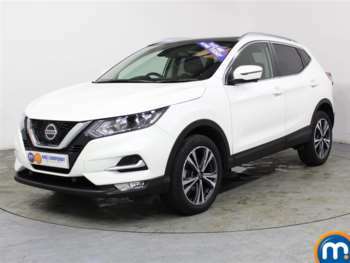 A used Qashqai appeals to almost everyone, as it’s got plenty of space, loads of practicality and looks great too. Most Qashqai models are capable of 0-62mph in less than 10 seconds, so they can be quite fun cars to drive. The whole point of the Qashqai is that streetwise, urban-proof durability, so you get bags of easy-to-use tech and a well-made, solid body-shell. Like all modern cars, the Qashqai gets airbags, air-con, climate control, ESP and power steering, so you can ride in style. Nissan never scrimps on kit, and a used Qashqai is no different. Very well. The Qashqai is a great driver’s car, despite its size and large body. It’s quite nimble, relatively agile and soft, so those city streets are taken with ease. It also has really practical rear-seating, meaning you can swap the seat layout about to accommodate the kids or luggage. It’ll out-handle any of its rivals, and with it being a Nissan, you know it’s going to be reliable. It’s the perfect car for modern Britain, as none of us really want a big MPV, and the Qashqai just makes everything easier. 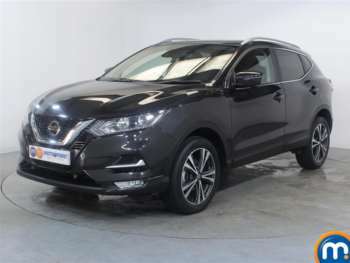 Got a specific Nissan Qashqai model in mind?